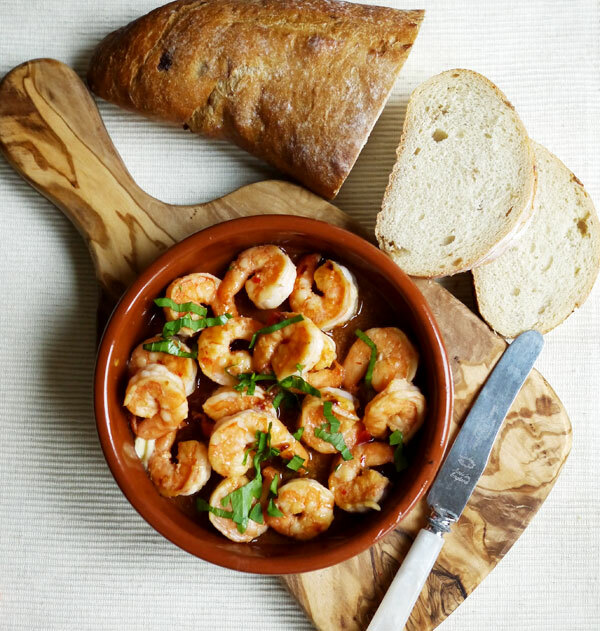 Easy Pil Pil Prawns – Gammas Pil Pil is a delicious, quick and simple garlic prawns recipe, the perfect Spanish supper dish. I’m reading a book called The Happiness Project for book club at the moment. 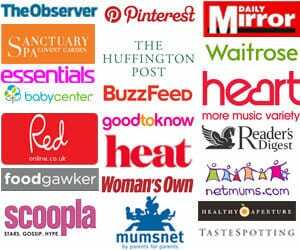 It’s an interesting look at how the author tried to improve their life to be the best it can be over 12 months. Each month relates to a different part of her life. Reading the book, I’ve thought a lot about what makes me happy. Things that have made me happy this week include.. Speaking to my oldest friend on the phone for so long that my face overheats. Standing by our pizza oven with a cup of tea in the rain, listening to the pop and crackle of the fire. Re-organising my baking cupboard (did you see the mess?!). The anticipation of Jack Bauer* coming back onto our TV screens. My babies kissing each other goodnight and howling with laughter playing hide and seek. Oh and cake. Of course, cake (as always) has made me very happy. I suppose I’ve realised it’s the simple things. This simple little dish makes me happy. It reminds me of a certain holiday to Spain. I went away on a last minute break with a friend. 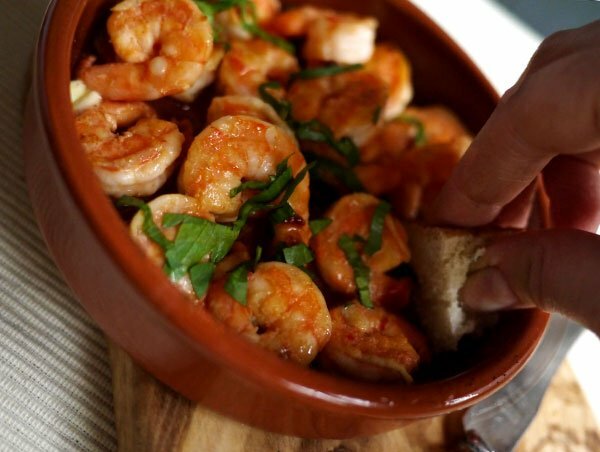 There was sunshine and Sangria and laughter and a lot of these hot, spicy Gambas Pil Pil garlic, chilli prawns. 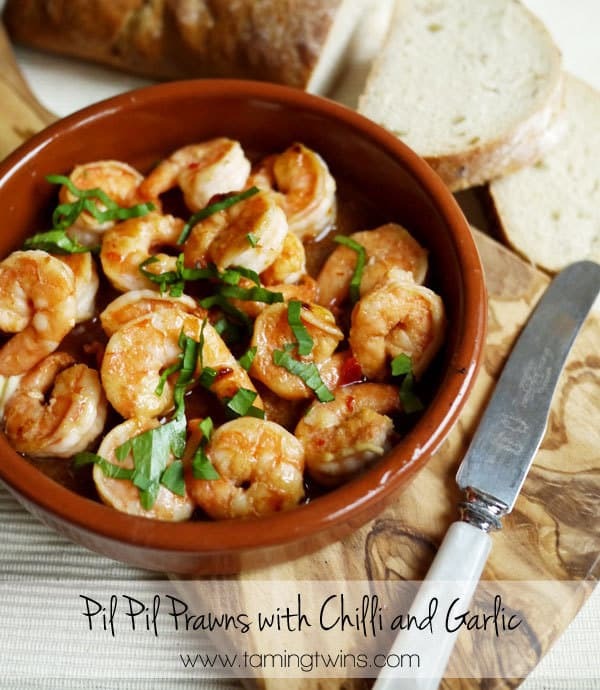 I’m not sure if this Pil Pil Prawns recipe is in any way authentic, but I won’t tell if you don’t. It is the ultimate fast food. Serve it with a little salad and some good bread. It’s so quick, there’s time to knock it up in between episodes of 24. That’s got to make anyone happy, right? 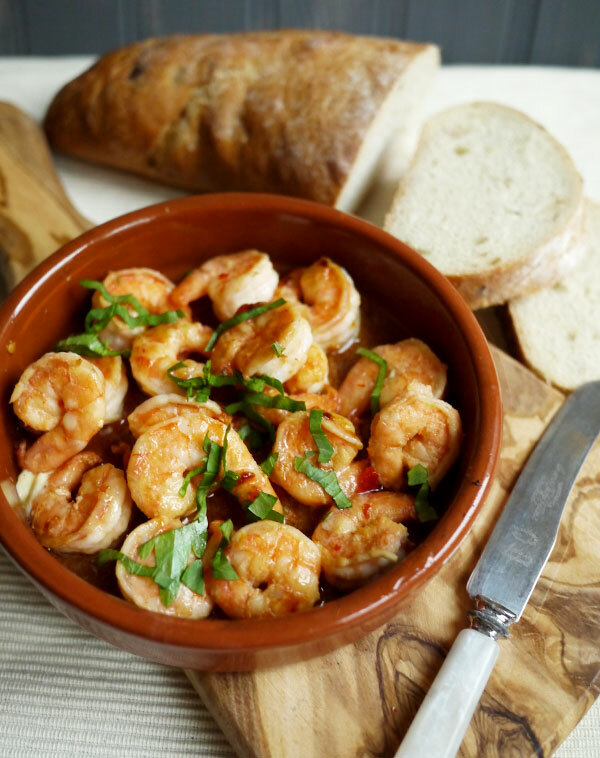 Easy Pil Pil Prawns - Delicious, quick and simple, this garlic prawns recipe is the perfect Spanish supper dish. In a small frying pan, heat your oil until it's almost smoking. Add your chilli, garlic and prawns. Cook until the prawns are pink all over, moving the pan around so that the garlic doesn't burn. Sprinkle with salt and parsley. These look gorgeous. 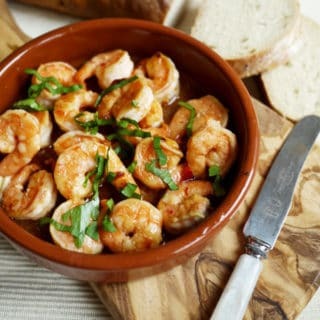 I love prawns so will definitely have to try them. Wow! Sarah these prawns look amazing. I feel like I’m in Spain just looking at them. Beautiful pics too. 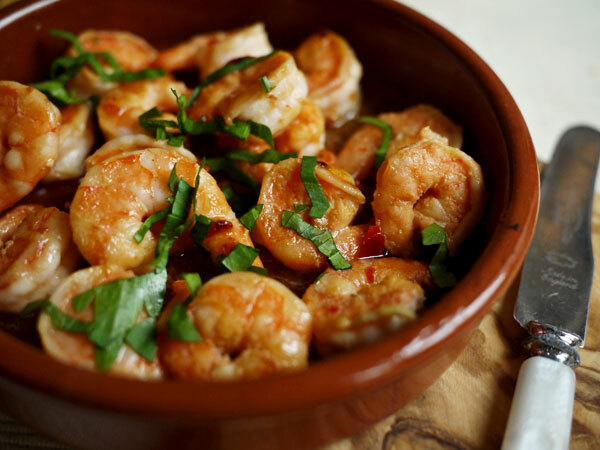 Pil Pil prawns, I have done this recipe several times, it’s my go to recipe. Easy peasy, you even cook the prawns from frozen. The best. So pleased you liked it, it’s one of my favourites!